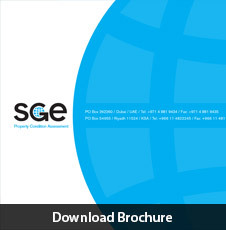 SGE is an American company that was founded in 2010 and today is headquartered in Dubai, UAE with offices in Riyadh, Saudi Arabia and South Carolina, USA. At SGE our philosophy is to pioneer and to lead. And all our businesses bear testament to that. SGE’s core focus is to provide a holistic, 360 degree approach to Asset Maintenance Management. Our Asset Management consultancy team focuses on guiding clients on the processes to optimally manage their physical assets and the associated performance, risks and expenditures over the asset’s lifecycle. Within Asset Management, our core focus is on maintenance activities as it has the most direct impact on the performance of assets and in turn on the quality of service delivery. Using Aladdin, we ensure optimal use of resources, minimization of downtime and life cycle costs and improved service levels. Since its inception SGE has enjoyed rapid growth and recognition and as our client or partner, you can expect to share in our success story.